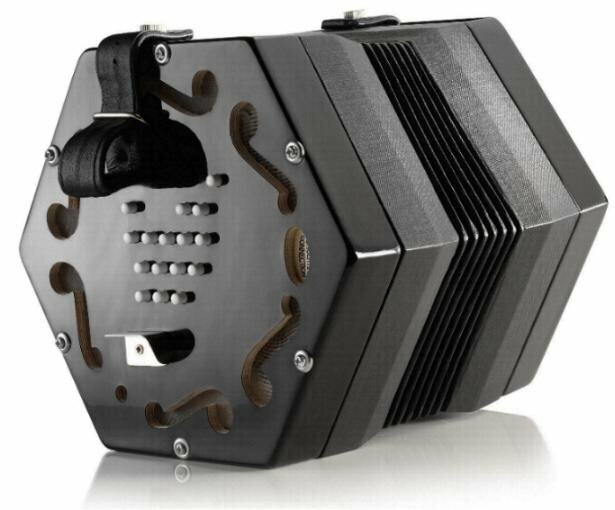 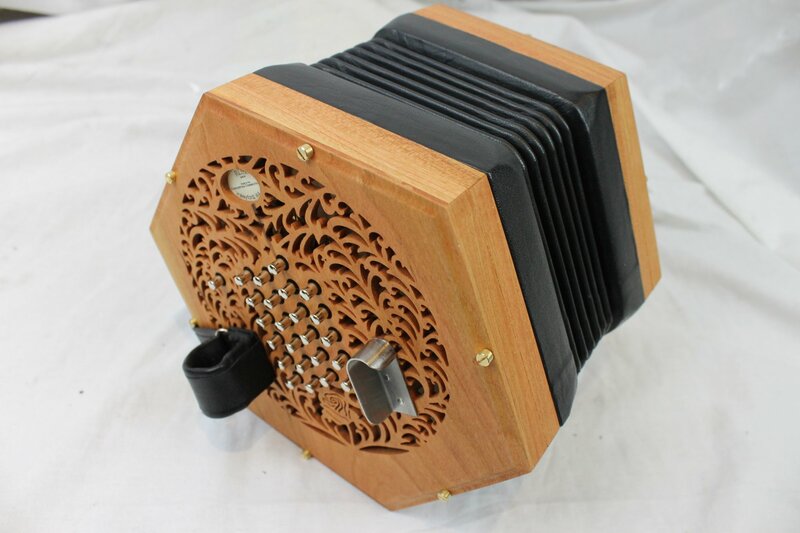 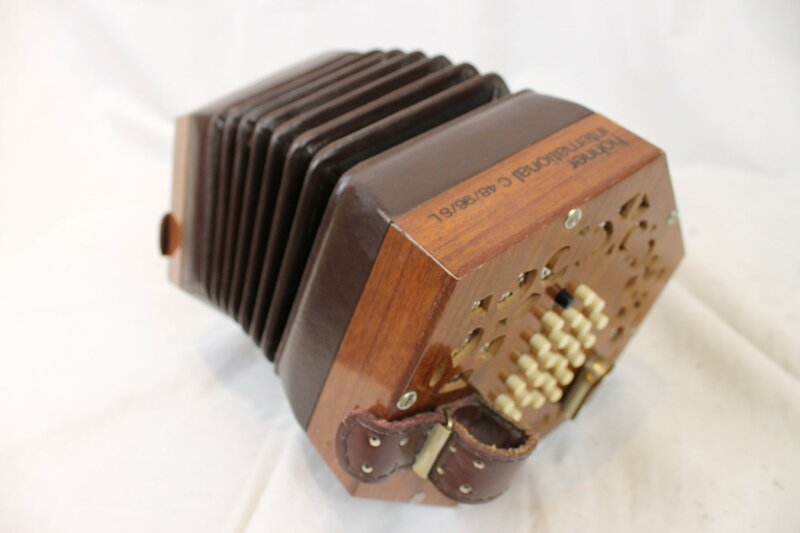 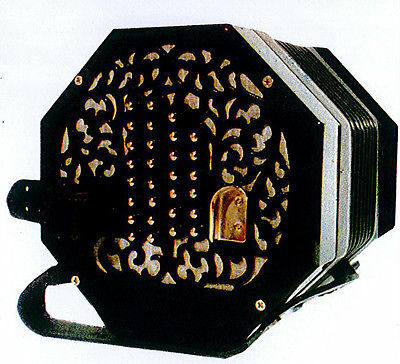 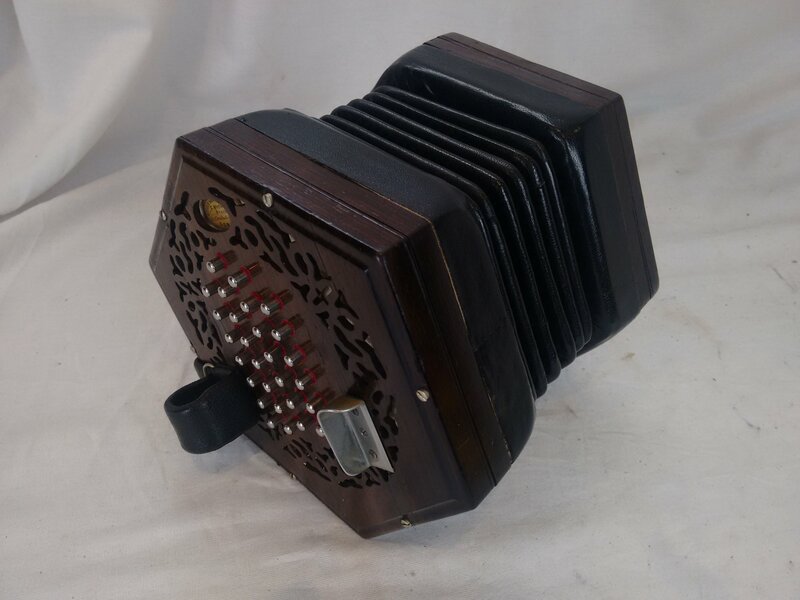 The English concertina is credited to Sir Charles Wheatstone, who first patented such a design in 1829 in Great Britain. 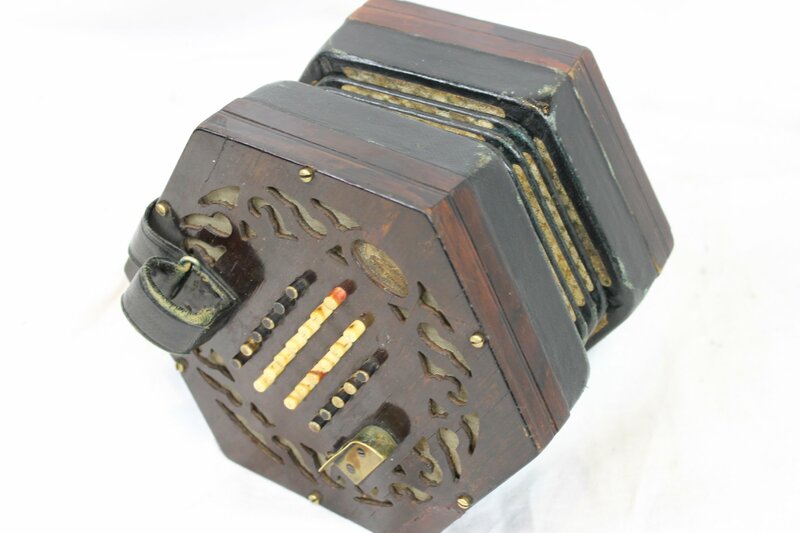 These instruments are unisonoric so that the same note is played in both directions of the bellows push and draw. 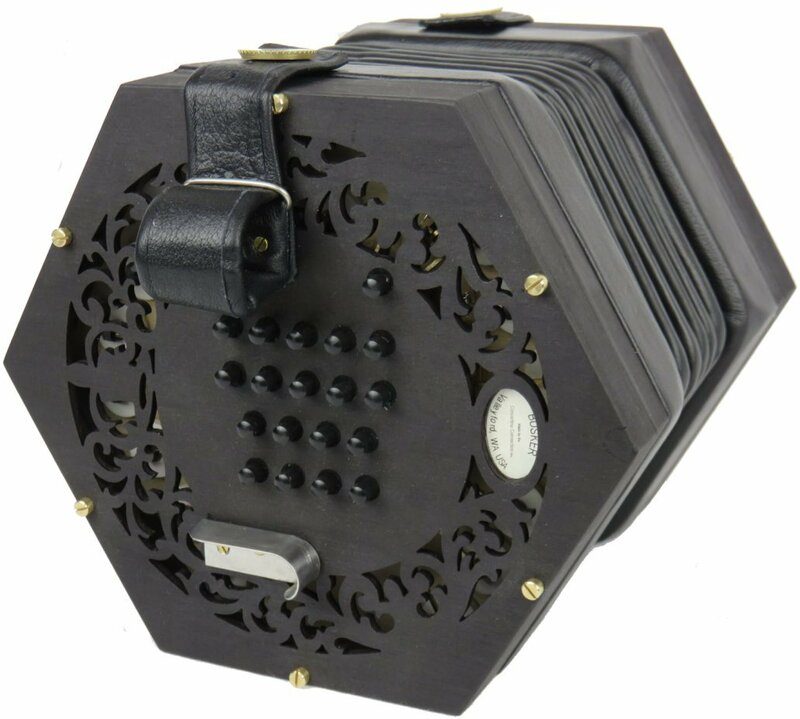 They are also favored by classical musicians who desire a small, portable fully chromatic instrument. 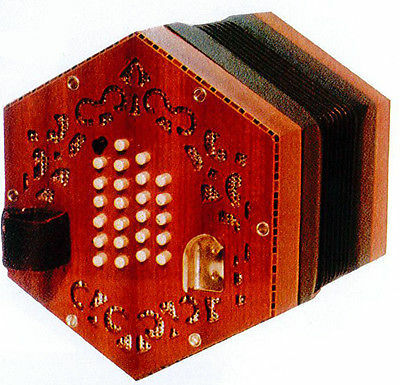 The most common ranges are treble (G to C), tenor (C to F), and baritone (F to B).